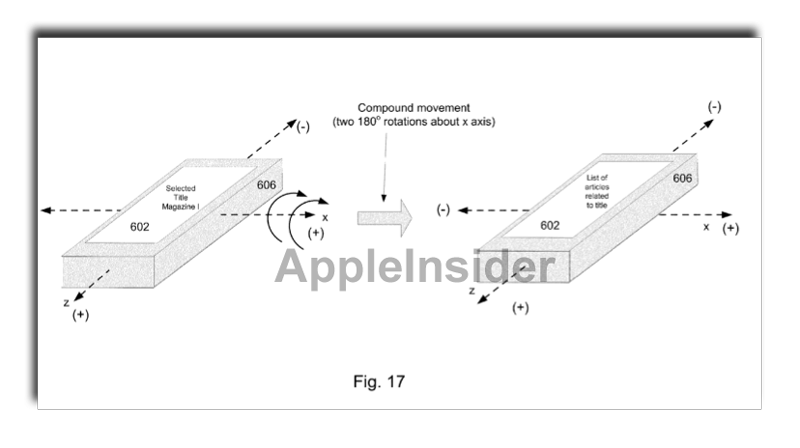 Apple has shown interest in creating a unique new motion-controlled portable device with dual e-ink displays designed specifically for reading and interacting with digital content. The concept was made public in a patent application published by the U.S. Patent and Trademark Office this week, discovered by AppleInsider. The proposed invention, titled "Motion Controllable Dual Display Portable Media Device," would have at least two displays arranged on a single device so that the user can only view one of them at a time. Instead of presenting two pages in a book-like form, like Microsoft's concept for the "Courier" device which never became a reality, Apple's idea is for only one display to be presented to the user at a time. In diagrams that accompany the application, a tablet-style device features one e-ink display on each side. The hypothetical hardware would include motion-sensing capabilities that would measure when a user flipped the device, and what direction it was turned in. Parsing this information, the hardware would, in the simplest example, turn the page of an e-book. But beyond flipping pages, the direction and manner in which the user flips over the e-ink device would change what is shown on the secondary display. In one example, rotating the book "end over end" would present the book's table of contents, while going in the reverse direction could present users with a place to enter notes. These movements would also be context sensitive. In one example provided by Apple, a user selects a word on the page, and then flips in a specific direction to get a dictionary definition of that word. In another example, a user reading a magazine on Apple's proposed e-ink hardware would be able to flip the device to quickly view related articles. Allowing users to flip the device on both an X and Y axis, the portable e-ink reader could also allow for content to be read in two different directions. For example, flipping left to right could pull up individual articles in a magazine, while flipping top to bottom could load the next page of that particular article. The application praises the benefits of e-ink displays, particularly the low power consumption due to their ability to hold text and images indefinitely without drawing electricity. But it also notes that e-ink technology has a very low refresh rate when compared to LCD, which can "severely and adversely impact" the user's reading experience. "For example, once the user has finished reading a page of a document, the page must be refreshed in order to present another page of the document," the application reads. "The need to refresh in order to view a new page can be frustrating as it requires the reader to stop and wait for the new page to come into view." 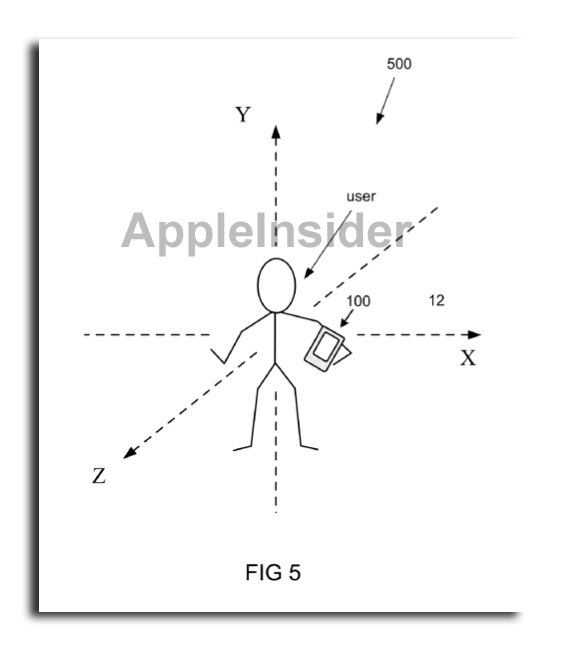 Apple's unique "flip" user interface would allow for the device to anticipate what the user might view next. By having the next page of a book already loaded on the reverse screen, the content could be instantly available. The proposed invention is credited to Benjamin A. Rottler and Michael Ingrassia Jr. It was originally filed with the USPTO in January of 2010.